Excerpt from Chapter 28 of Reflecting His Image (ISBN 978159589005X) © 2004 by KP Yohannan, the president and founder of Gospel for Asia. This entry was posted in Reflecting His Image and tagged Christian-living, Christianity, Deeper-life, Discipleship, Dr. KP Yohannan, gfa, Gospel for Asia, Jesus, K.P. Yohannan, KP Yohannan, Spirituality on May 27, 2014 by gfaseo. 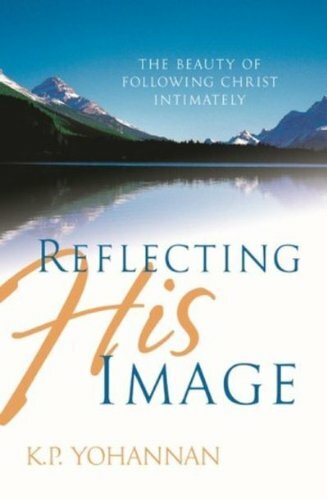 Excerpt from Chapter 26 of Reflecting His Image (ISBN 978159589005X) © 2004 by KP Yohannan, the president and founder of Gospel for Asia. This entry was posted in Reflecting His Image and tagged Christian-living, Christianity, Deeper-life, Discipleship, Dr. KP Yohannan, gfa, Gospel for Asia, Jesus, K.P. Yohannan, KP Yohannan, Spirituality on May 20, 2014 by gfaseo. I am certain that very few of us would have dared to venture out and join Paul’s “death squad” missionary team! However, when we read the Gospels, we are surprised to discover that Jesus made the same offer to His disciples when He asked them to follow Him. He even told them, “You must love Me more than your own life.” We read the results in the book of Acts and in Church history: Nearly all of His disciples lost their lives for the sake of the Gospel they preached. In the light of all this, seeking recognition, titles, position, a pat on the back, salary or benefits in the Lord’s work, whether secretly or openly, must be an alarming warning sign for us. If we choose to pursue these things, it will be only a matter of time before we have lost a pure motivation of the heart. Our enemy is our own self-centeredness. Excerpt from Chapter 24 of Reflecting His Image (ISBN 978159589005X) © 2004 by KP Yohannan, the president and founder of Gospel for Asia. This entry was posted in Reflecting His Image and tagged Christian-living, Christianity, Deeper-life, Discipleship, Dr. KP Yohannan, gfa, Gospel for Asia, Jesus, K.P. Yohannan, KP Yohannan, Spirituality on May 13, 2014 by gfaseo. Faith has nothing to do with human logic, mathematics or what we can see, hear, feel, smell or touch. But it has everything to do with how God operates! Faith disregards the obvious facts and trusts that God will do the impossible. As we continually walk by faith and not by sight, we live in the supernatural. God’s very life flows through us unhindered, and we become a mighty weapon in His hand. Excerpt from Chapter 22 of Reflecting His Image (ISBN 978159589005X) © 2004 by KP Yohannan, the president and founder of Gospel for Asia. This entry was posted in Reflecting His Image and tagged Christian-living, Christianity, Deeper-life, Discipleship, Dr. KP Yohannan, gfa, Gospel for Asia, Jesus, K.P. Yohannan, KP Yohannan, Spirituality on May 6, 2014 by gfaseo.